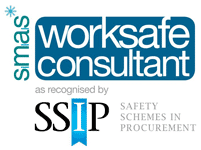 Why Choose Award Health and Safety Consultants? Our no nonsense, straight forward approach means employers love working with us. We are not here to preach to you, just help take away some of the burden. Why do I need a Health & Safety Consultant? Every business has a responsibility to meet their health and safety obligations. Failure to do so can result in prosecution. But how do you know what is required? If you don’t have an in-house expert on hand 24/7 to advise you, then using an external company to advise on health and safety makes a lot of sense. A health & safety consultant will work with you to ensure you meet your obligations. In this context a competent person is someone who can advise and assist with your health and safety measures. It is laid out in law that every employer must appoint a health and safety competent person. This is where Award Health and Safety can help, we can become your competent person. Award Heath & Safety provide an excellent all round service for our external health & safety consultancy requirements. Chris Ward is a natural when it comes to the training aspects of health & safety and in our opinion, he excels in his people skills and the way he communicates his vast knowledge of health & safety in the construction industry to our company operatives. It’s a joy working with Award Heath & Safety and we look forward to continuing our working relationship with them. Chris Ward is a breath of fresh air when it comes to Health and Safety, he relays the information in a very pragmatic manner. Since employing Award Health and Safety, we have been able to fully implement Health and Safety throughout all of our sites, keeping them the safest they can be. With the back up of Award Health and Safety monitoring our sites with ad hoc visits keeps us and our workforce on our toes. They have guided us through the processes we required getting our CDM and Method Statements up and together. 6a Vision Homes Ltd highly recommends Award Health and Safety. Many employers struggle to keep abreast of the ever changing health and safety legislation. It can become a full time job for someone. By employing a health and safety consultant, you are giving your organisation access to the latest health and safety advice and making sure you aren’t exposed to any undue risks. Having a professional health and safety consultant to hand enables employers to spend time finding health and safety issues that otherwise would have gone unnoticed. Addressing these issues early helps with staff moral and ensures that all employees have a safe, comfortable working environment in which to operate. This results in less sickness, less absenteeism and greater productivity. Award Health and Safety can be hired as your health & safety consultant on a day to day basis to work on specific health and safety tasks and projects. 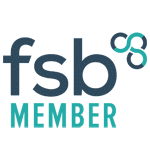 Our other health and safety services include: Health and Safety Training, Health and Safety Consultancy, Health and Safety Advice, and CHAS Accreditation.